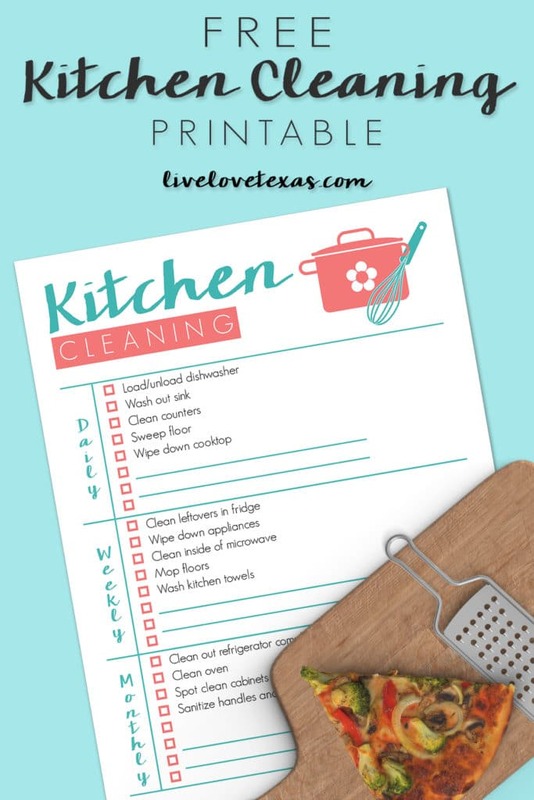 Cleaning can get overwhelming, so I created this Free Kitchen Cleaning Checklist Printable to help you stay on track with a spotless kitchen every day! My parents started me on chores from an early age. I remember at 6 I felt pretty satisfied with myself when I successfully negotiated $5 a week from my parents. Five dollars for a 6-year old was a lot back then! What I didn’t realize is that with more money, meant more responsibility. But since I was so motivated by money and being able to have options for spending, it would be worth it. To keep things organized, my parents had a pretty detailed list of chores I had to do each week and as you can guess it, unloading and reloading the dishwasher was always at the top of the daily list. This Free Kitchen Cleaning Checklist Printable was sponsored by Best Buy. Although I’ve been cleaning the kitchen since I was a child, keeping up with the dishes can be a constant battle let alone getting all of the other chores done. And even though you’re likely doing the same chores day after day, week after week, and month after month it’s always nice to have a checklist of things to do in the kitchen to help remind you of what needs to be done and stay on task. Looking back now on my parent’s spreadsheet for the entire house, as an adult, it seems too broad. There’s no list of items you can check off to make you feel like you’re making progress. 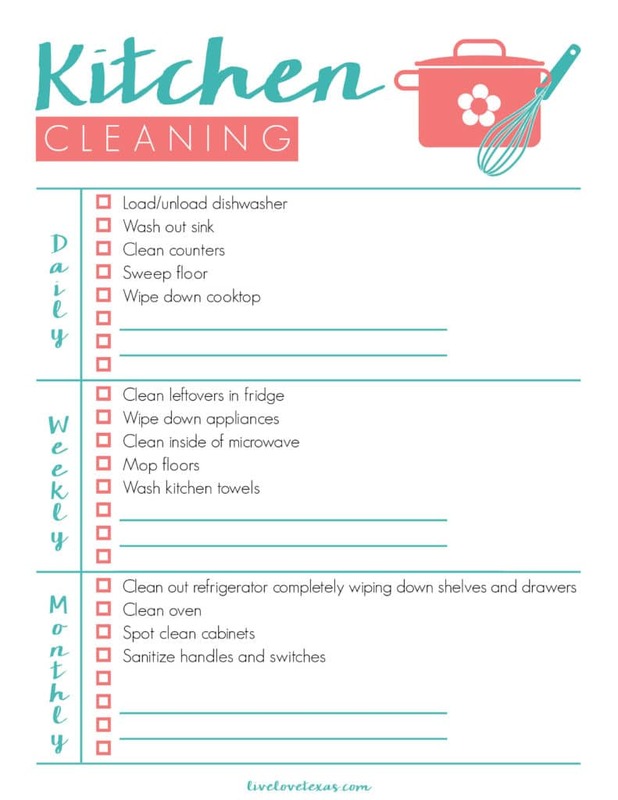 Or a list of items that are done so infrequently like the monthly chores that you simply forget when you’ve done them last or what really needs to get done which is why I’ve created this Free Kitchen Cleaning Checklist Printable to help you along! Growing up doing the dishes pretty much meant pre-washing everything in the sink before putting it into the dishwasher to drive. Although I know dishwashers have changed a lot over the years since I was doing the dishes in my parents’ kitchen and I now have an updated model, I still pre-wash and run out of space more often than I’d like to admit. That’s why I geek out a little over the latest tech goodies at Best Buy…even the appliances like the BOSCH 100 Series dishwasher! 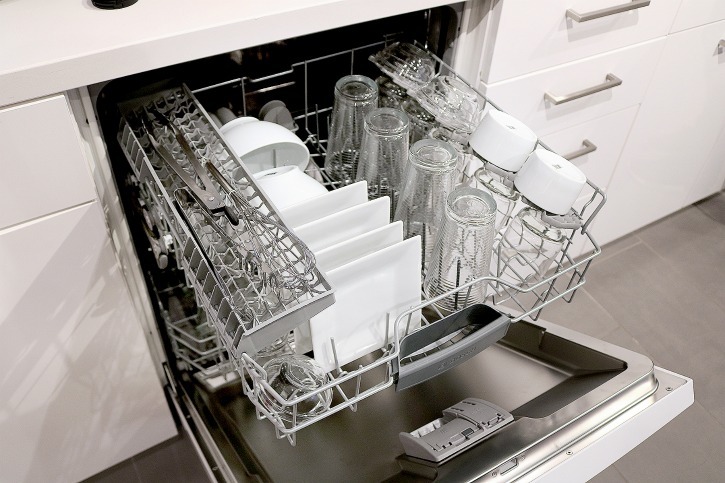 The BOSCH 100 Series dishwasher differentiates itself from competitors from the inside out! You can say goodbye to pre-rinsing because this dishwasher has PrecisionWash™, an intelligent wash system with sensors and a 3-fold corrugated filter to removes food particles from every dish and leave them sparkling clean. You can also choose from 6 different wash cycles including Heavy, Auto, Normal, Delicate, Express and Half Load. Giving you the right option to clean what’s in your sink. And even if you choose one of the 3 delay cycle options (3-, 6-, or 9-hour), you don’t have to worry about leaks because BOSCH offers exclusive 24/7 overflow leak protection. Get more dishes done in every load with space to accommodate 14-place settings and a built-in utility rack which works great for hard to place items like those whisks or spatulas that take up precious room on the top shelf. But this dishwasher isn’t just about function, it’s about form too. It comes in fingerprint-resistant stainless steel which helps guard against smudges and fingerprints which means less cleaning. This one may be up for debate with some because of the perceived loss of aesthetics, but I like having front panel controls instead of on the top. Front panel controls make it so much more convenient to control cycles without smashing your fingers, allows little ones to help out more easily, and provides a visual indicator that the dishwasher is running. You’re probably thinking to yourself why would I need the front panel control to know if it’s running, I’ll be able to hear it. 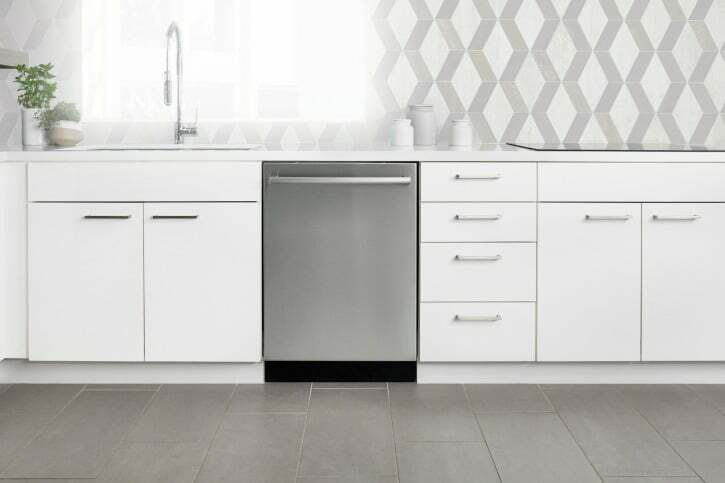 Not with the 100 Series dishwashers, it incorporates18 unique sound-reducing technologies for a super quiet sound that doesn’t disturb the rest of your house. 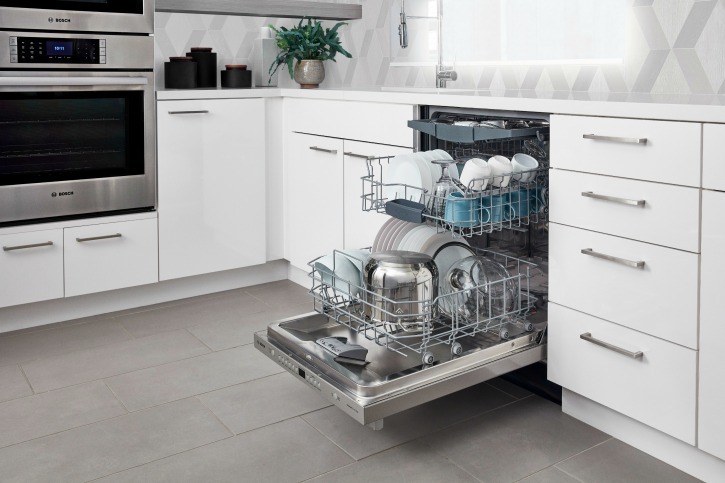 BOSCH is not only the quietest dishwasher brand in the U.S. currently, but it also creates 5 of the top 10 drying scores out of 160 tested dishwashers and has the lowest need for repairs according to a leading consumer publication. Get ready to change how you take care of your home with this Free Kitchen Cleaning Checklist Printable and the BOSCH 100 Dishwasher from Best Buy! « What is the Amazon Echo Spot?